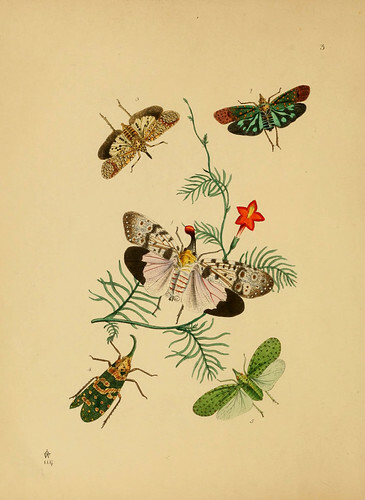 The Biodiversity Heritage Library scans thousands of public domain documents and makes their text and images available online. Among the images scanned are many images of fulgoroidea! Check out this image scanned by the Biodiversity Heritage Library from the document George Perry’s Arcanae naturae. 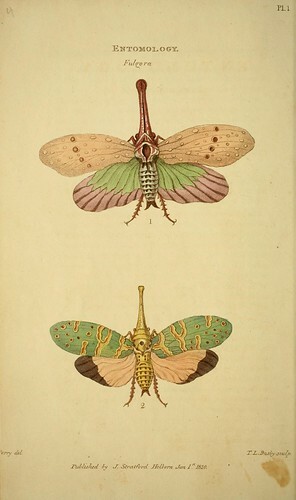 Fulgora Party from The cabinet of oriental entomology London : William Smith, 113 Fleet Street, .